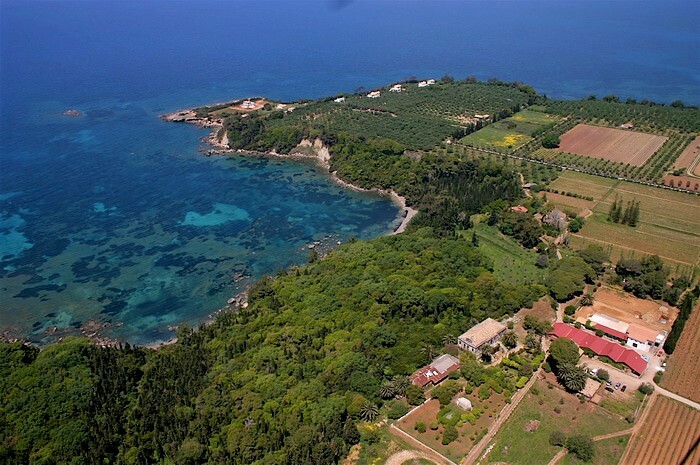 In so many ways – historically, climatically, viticulturally, architecturally, culturally, even scenically – the Mercouri Estate stands apart from the other wineries we visited and quite possibly from all wineries in Greece. 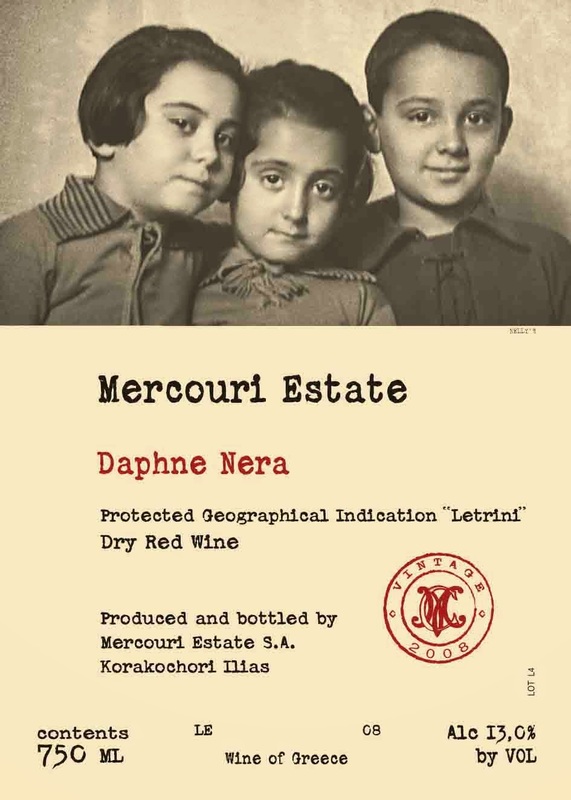 Created in 1864 by merchant Theodoros Mercouri, the estate is one of the oldest in the country. Wine-growing began in 1870, when Refosco vines imported from northeast Italy, where Mercouri had trade ties, were planted. 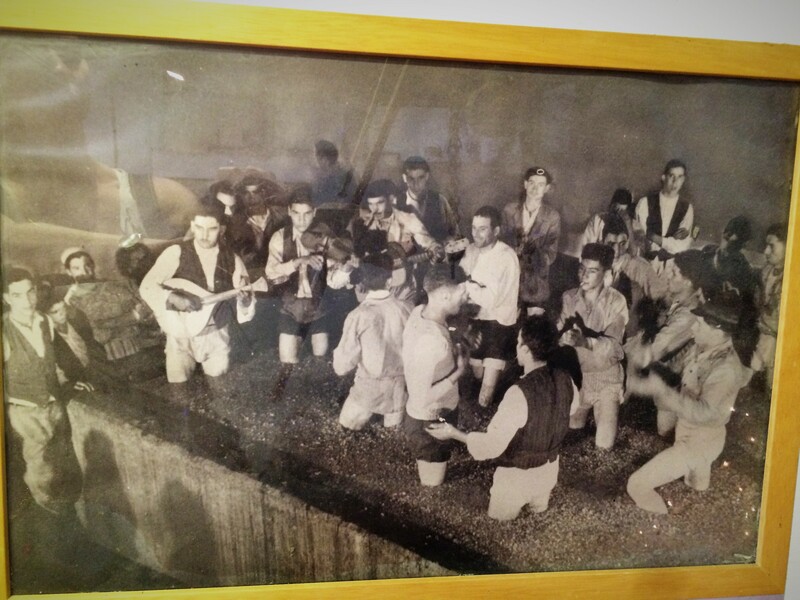 The resulting wine soon gained a reputation and was not only consumed locally but also exported on ships that docked at the estate. Such was its renown that the Refosco grape came to be called Mercoureiko in Elis (aka Ilia). New wine-making facilities were built in 1930. Production more or less ceased between World War II and 1985, when Vasilis and Christos Kanellakopoulos, the fourth generation of the family, began revitalizing the estate and its wines. These days, Vasilis’s two sons are taking the helm, Dimitris as the oenologist and Labis looking after the business and marketing side of things. To all appearances, the estate’s future is in good hands. Set like an emerald on a small bay to the west of Korakochori, the estate enjoys a unique micro-climate. The Ionian Sea has a tempering effect and, as rain clouds in Greece tend to travel from west to east, the average annual precipitation and relative humidity are higher than in the rest of the Peloponnese, though paradoxically the summer and fall are drier than areas further east, a boon for grape health and harvest. The danger of frost is very low. The mix of grape varieties grown in the 40 hectares of vineyards is as unparalleled as it is cosmopolitan, and includes the Greek Agiorgitiko, Assyrtiko, Avgoustiatis, Korinthiaki, Malvasia, Mavrodaphne, Rhoditis and Robola as well as the extra-Hellenic Mourvèdre, Negroamaro, Ribolla Gialla, Syrah and Viognier. The winery also reportedly has or has had experimental plots of Albariño, Cabernet Franc, Cabernet Sauvignon, Grenache, Merlot, Sangiovese and Sauvignon Blanc. Several of the buildings, including ones still in use, are little changed from when they were constructed in the late 19th and early 20th centuries. Many are built from local stone. Several have steeply pitched tiled roofs. Parts of the winery have been preserved as if in amber, with the original furnishings, paintings and equipment intact. Walking through the front door is like stepping back in time, a feeling only increased by a visit to the estate’s small museum with its collection of old presses, tools and photographs, among other things. While Greece is rightly seen as a meeting place between the western and eastern Mediterranean cultures, the estate feels closer to the west than the east, seems to have one foot in Greece and the other foot in Italy. Take the grape varieties, for example. Take the now abandoned owner’s mansion, which is depicted on the label of the estate’s flagship reds and wouldn’t be out of place in Brindisi or Bari. The Italian feel even extends to the park-like grounds. With its lush foliage, huge trees, expanses of lawn, gentle inclines and pristine shore, the landscape is uniquely pastoral and bucolic. 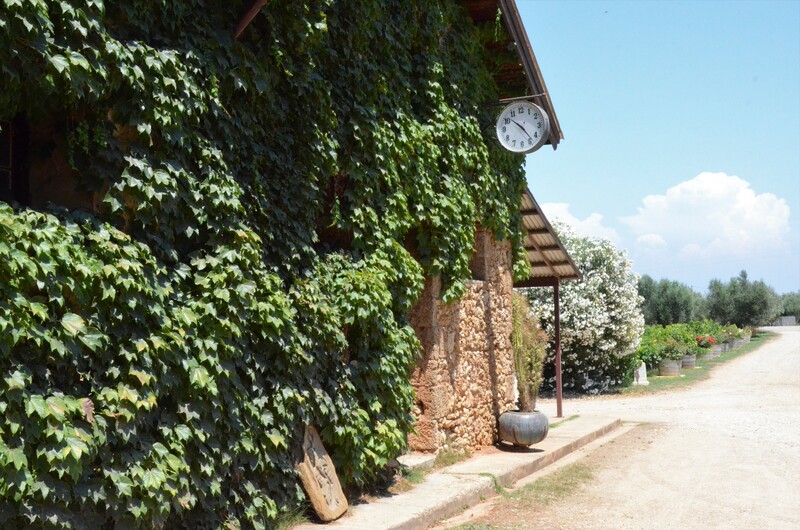 However present the past may be at Mercouri, the wine-making is resolutely modern, which is not surprising for an estate that has been crafting wines from local and foreign varieties for close to a century and a half. Even the wine labels seem to express this embrace of new and old; the flagship dry whites, Lampadias rosé and Antares red feature reproductions of colourful stylized or abstract paintings; the flagship reds’ labels are far more traditional; the newer reds’ labels live in both eras, with modern typography and an old photograph of young members of the family. The kicker is that all the bottlings, whether old or new and especially the reds, are among the most elegant Greek wines I’ve tasted. You’ll find my notes on all the Mercouri wines after the jump. For details about where we stayed and ate and what we ate and saw, see the Day Three report on carswelliana. The estate’s main white. A blend of Red Rhoditis (a pink-skinned variant of Rhoditis, 90%) from high-elevation vineyards on the slopes of Mount Foloi and estate-grown Viognier (10%). Fermented at low temperatures with selected yeasts. Sees no wood. 32,000 bottles made. Reducing sugar: 3.0 g/l. 13% ABV. Quebec agent: oenopole. The 2016 is currently available at the SAQ ($19.25, 12131471). Aromatic but less floral than some earlier vintages: lemon, flint, white flowers. Bright, light, fresh and fruity but dry. Lingering saline finish. Tonic. The winery suggests serving it as an aperitif or an accompaniment to green salads and – surprise! – asparagus. A blend of Assyrtiko from estate vines and Robola from Kefalonia. Fermented at low temperatures with selected years. 8,800 bottles made. Residual sugar: 3.0 g/l. 12.5% ABV. Faintly muscaté nose with chalky minerals. Dry. Round, especially on the mid-palate. As minerally as it is fruity. Lovely. 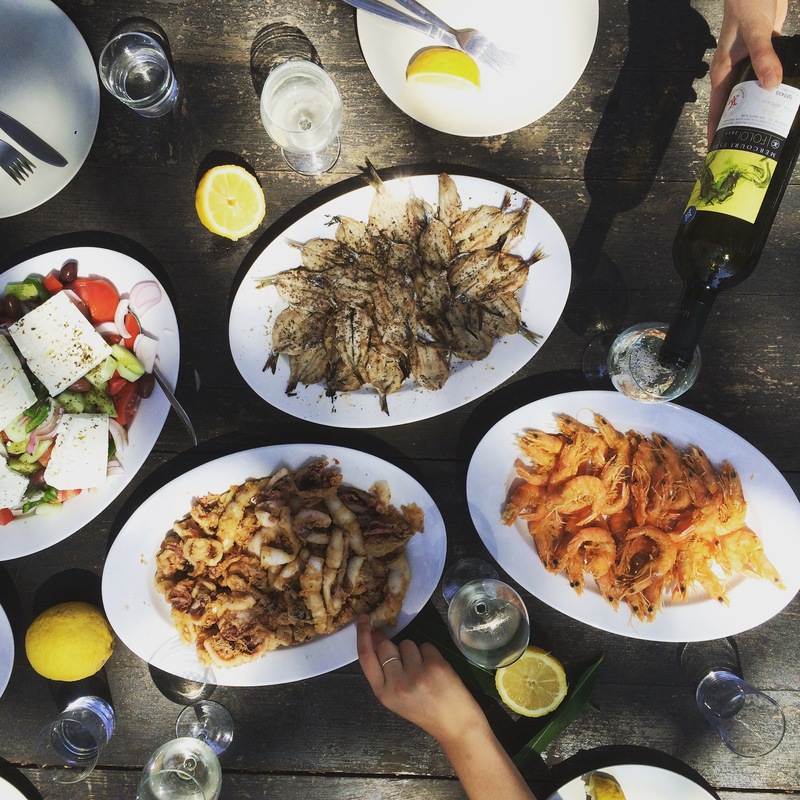 “Ages up to two years because of the Assyrtiko,” says the winemaker. Suggested pairings: richer fish, sautéed shrimp, fried squid. 100% Red Rhoditis from high-elevation vineyards on the slopes of Mount Foloi. Fermented at low temperatures with selected yeasts. Spent four months on the lees. Matured six to nine months in new Allier oak barrels. 1,200 bottles made. Residual sugar: 2.6 g/l. 13.5% ABV. White fruit, spice, discreet oak. Round and minerally, with crisp acidity. The oak is present but not heavy. Long, slately, slightly bitter finish. Drink within a year or two of release. Suggested pairings: fish and seafood, white meats with cream sauce, cheese. 100% Vigonier from estate vines. Fermented and matured three months on the fine lees in new French oak barrels with regular stirring. 2,500 bottles made. Residual sugar: around 3 g/l. 13% ABV. Wafting nose of honeysuckle and peach with faint vanilla notes. Classic flavours, suave acidity and nicely integrated oak describe the palate. Everything is in place. The long, dry, slightly sour edge interacts engagingly with the perceived sweetness. Beautiful. Viognier so often disappoints outside of Condrieu, but not here. Drink within a year or two of release. Suggested pairings: fish, seafood and white meats in cream sauce with fresh herbs. This rosé is a blend of Agiorgitiko, Syrah and Negroamaro. The pink colour comes from six hours’ maceration on the skins. Low-temperature fermentation with selected yeasts. 5,000 bottles made. Residual sugar: 3.5 g/l. 12.5% ABV. Rich pink with a pale bronze cast and red-orange glints. Faintly musky and floral nose of hard strawberry candy. Very dry and surprsingly unfruity in the mouth. Bright acidity and a hint of tannins add structure. Long, savoury, almost peppery finish. Tasty. The wine on which the estate’s reputation was built remains its iconic product. A blend of Refosco (85%) and Mavrodaphne (15%) from estate vines. Fermented with selected yeasts. Matured 12 months in French oak barrels (mainly Allier). 35,000 bottles made. Residual sugar: 2.5 g/l. 13% ABV. Quebec agent: oenopole. The 2015 is currently available at the SAQ ($21.65, 11885537). Red and black fruit, fresh fields, dark minerals, smoke and an animale note, which Demitris ascribes to the Mavrodaphne. 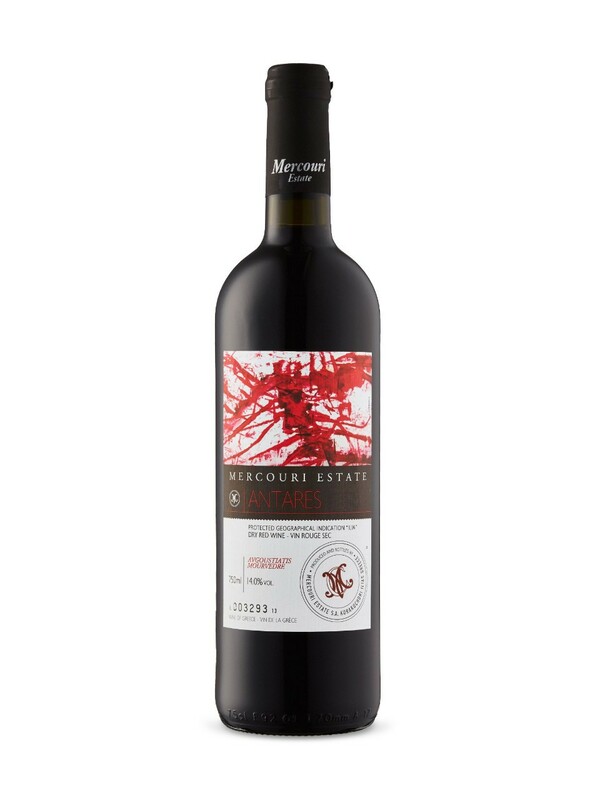 Medium-bodied yet rich, the extract, acidity and civilized tannins in perfect balance. Savoury and so not a fruit bomb. Slate flavours the transition to the long finish. Elegant and delicious. The winery says it can age five to eight years from release. Animale again. Leather too, along with dried beef, plum, blackberry and whiffs of alcohol and brett. Smoother and even richer though still vibrant if very dry. Though resolving, the tannins still provide some rasp. Long, savoury finish. A blend of Avgoustiatis and Mourvèdre from estate vines. Fermented in temperature-controlled tanks with selected yeasts. Matured 12 months in Allier, Nevers and Vosges oak barrels. 4,500 bottles made. Residual sugar: 2.2. g/l. 14% ABV. Soft, wafting nose of cherry hard candy with hints of chocolate and spice. In the mouth, it’s soft and round. The boisterous fruit is overtoned with oak and tobacco, brightened by acidity, firmed by stealth tannins. Ripe-sweet on entry but finishes dry. The winemaker puts its ageing potential at more than a decade. Here the nose tends to black fruit, cedar and dark minerals. The palate is similar to the 2013’s though softer and more savoury, less shoutier. The tannins are resolved. At or very close to peak I’d guess. 100% Mavrodaphne from a specific parcel of estate vines. Given a long maceration on the skins. Tannin extraction is controlled by manipulating the grapes as little as possible. Fermented in temperature-controlled tanks with selected yeasts. Matured 12 months in French oak barrels. 1,900 bottles made. Residual sugar: 2.5 g/l. 13% ABV. Striking nose of blackberry and myrtle with hints of cedar, slate and black tea. Somewhat Cabernet Franc-like in the mouth, showing good acidity and smooth tannins. Long, layered, balanced, elegant and delicious. The winery gives the ageing potential as five to eight years after bottling. Not a sparkler; cava here means reserve, a wine given extended ageing in oak. Refosco (80%) and Mavrodaphne (20%) from estate vines planted in 1990. Fermented in temperature-controlled tanks with selected yeasts. Matured 18 months in new French oak barrels (1/3 Allier, 1/3 Nevers, 1/3 Vosges). 4,900 bottles made. Residual sugar: 2.7 g/l. 14% ABV. Closed nose of black fruit, dried herbs and sandalwood. Swirling brings out cocoa and caramel notes. In the mouth, the wine is full-bodied, round, flavourful and balanced. The acidity is well-integrated, the tannins resolving, the oak discreet and the alcohol not felt. Long, dry, savoury finish. The estate’s flagship according to our hosts, and it shows. Accessible now but capable of ageing a decade or longer. Named after an old nearby castle. 100% Malvasia Aromatica (aka Malvasia di Candia) from estate vineyards. The harvested grapes are sun-dried for five to eight days, then fermented in temperature-controlled tanks. Matured 12 months in Vosges oak barrels. 1,000 500-ml bottles were made. Residual sugar: around 80 g/l. 13.5% ABV. Enticing nose of orange peel, passion fruit and wax with floral overtones. Mouth-filling and sweet but not cloying. Above all fresh. The extract gives it a certain weight. Better with each sip. Named after the bay near the estate. A blend of Mavrodaphne (55%) and Korinthiaki (the Zante currant grape, 45%) from estate vines. The grapes are partially dried in semi-shade. Fermentation is stopped by the addition of pure alcohol. Matured five years in oak barrels, with oxidation carefully controlled. 1,200 500-ml bottles were made. Residual sugar: around 100 g/l. 13.5% ABV. Profound nose of black tea, chocolate, raisins and spice. Rich but fluid, sweet but not saccharine, due in part to the bright acidity. Deep and long, drying on the finish. Lingering cedar and dried herbs. Impressive. The winemaker says it can age at least 15 years.